Apple is going to be removing the YouTube app from the iPhone and the iPad. The separation between Apple and Google is getting wider. On Monday, Apple released a test version of iOS 6, their newest operating system, and developers quickly noticed that the YouTube app was missing. This is a notable change because the YouTube app has been in the line-up of Apple’s built in apps since the conception of the first iPhone in 2007. Is the removal of the YouTube app the calm before the storm? Apple said in a statement that “Our license to include the YouTube app in iOS has ended”. They added that owners of the device would still be able to use YouTube by going to their web browser, and that Google was working on a YouTube app that users could use in the future, through the Apple App Store. YouTube said in a statement, “We are working with Apple to ensure we have the best possible YouTube experience for iOS users”. Is Google upset with Apple? The extent is not known yet. This was first reported by The Verge, a technology blog. Google has never had much control over the YouTube app for iOS, because Apple built the app using technology that YouTube makes available to software developers. Meaning that YouTube could not update the App without Apple’s help, or run advertisement on videos that played through the App. Nonetheless, the App was neglected, and YouTube took its time and efforts to its mobile website and Android app. The App does not play the role that it did when it was first introduced in 2007. That is because the videos were using the Flash video format, which did not work on Apple’s smartphone. 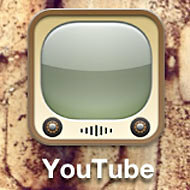 YouTube has begun using video formats that do not require special apps for iPhone users. This looks like Apple is going to be in war with Google. Why? Apple is in court with Samsung, Google’s biggest Android phone partner, over patents. More critically, Apple is not using Google Maps to power its mapping service in its newest operating system. This will not threaten the popularity of YouTube being the number 1 video site on the internet. The iPhone app is contributing to the half a billion playback videos each day that are streamed from a cellular device. But as Apple noted, there will be other ways to watch YouTube videos. Is apple moving towards extinction?